Michael Smith Engineers is now the official UK distributor for the heavy duty, leak-free mag drive Dickow pumps. Michael Smith Engineers (MSE) has announced that it has been appointed official UK distributor for the full range of DICKOW magnet drive and mechanical seal centrifugal and side channel pumps. The range includes the SCM Series horizontal magnet drive side channel pumps which are designed to handle low flows (up to 30m³/hr) at high differential heads (up to 400 m) at temperatures up to 180ºC. Dickow SCM pumps are suitable for handling clean liquids without solids in the chemical and pharmaceutical industries. When coupled with Ex-drive motors they can also be used in hazardous areas. 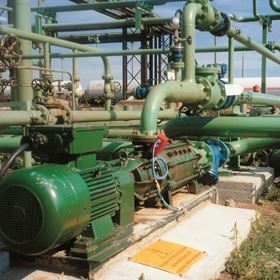 This side channel pump operates more economically than a centrifugal pump on fluid handling applications involving low flows and high heads. The magnet drive design means there are no rotating seals with the potential to fail, ensuring optimised production and no cross contamination of the pumped fluid. The tight clearances between the impeller and the discs enable them to generate high differential pressures and to self-prime. The SCM Series are also suited to handling a liquid/gas mixture, allowing vessels to be fully emptied. Designed for precise metering and dosing applications.